Ooh, hello! 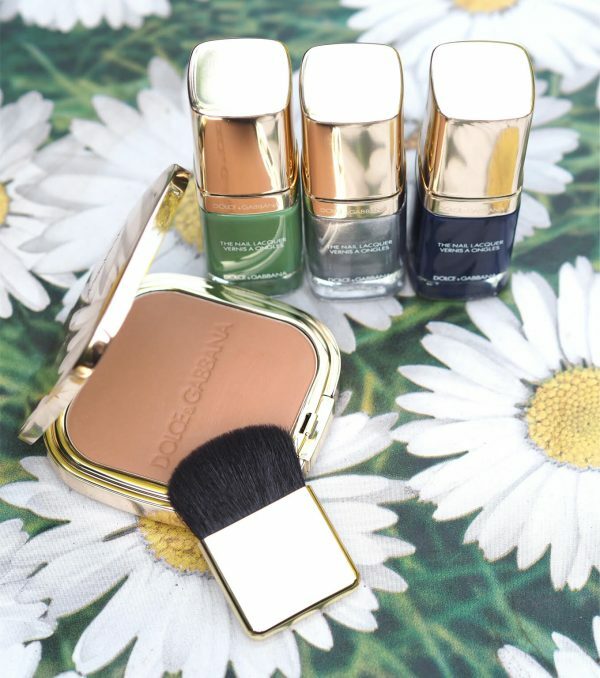 The nail polishes from the Dolce & Gabanna Summer Dance Collection have got me absolutely captivated – that green! I’ve taken some shots inside and outside and can say that this collection springs to life in natural light. 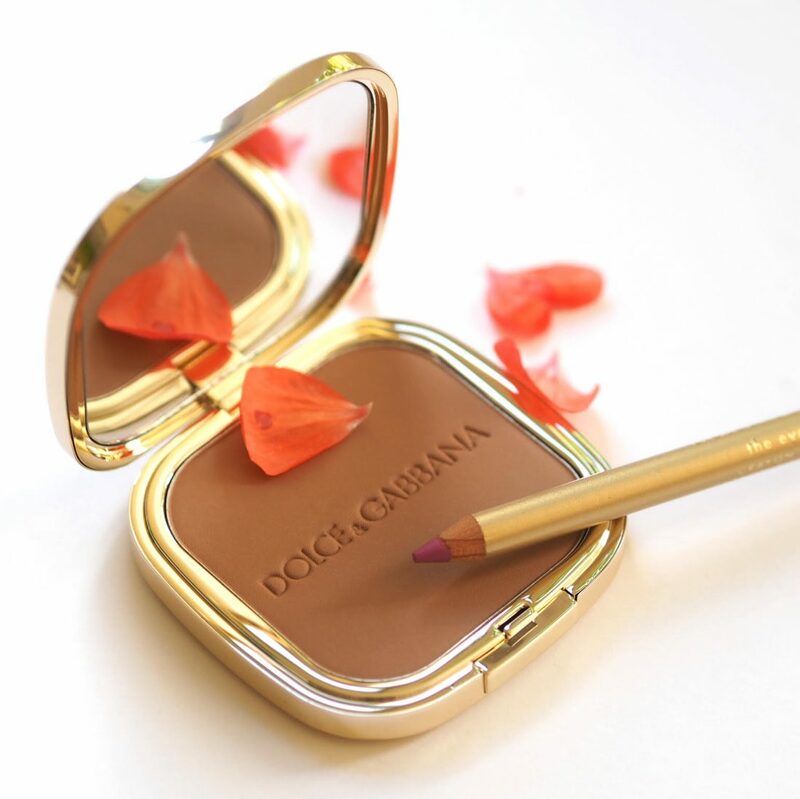 D&G do bronzing really well – it’s one of their areas of excellence – although I don’t think this is a new product as they already have bronzers in their collection. 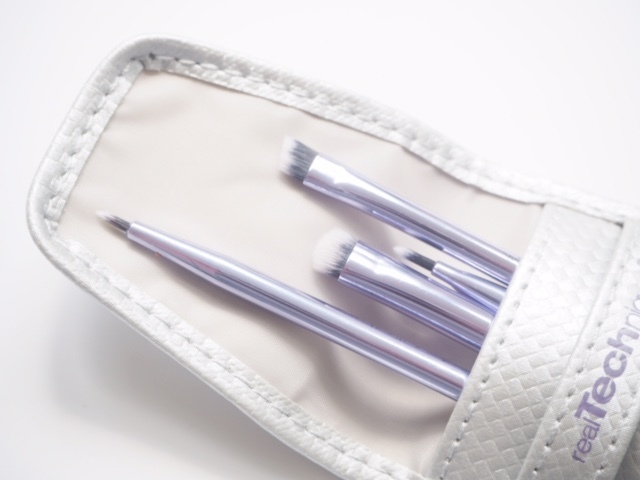 It’s a creamy powder formula, beautifully blendable and not as dark as it looks in this picture. I’m not a powder fan but this just feels like air on my skin and it’s matte so you won’t sparkle every time the sun comes out. The shade here is Honey Bronze and it’s pictured with Pink Pop eye liner (£21) which is a limited edition shade along with another called In Blue. 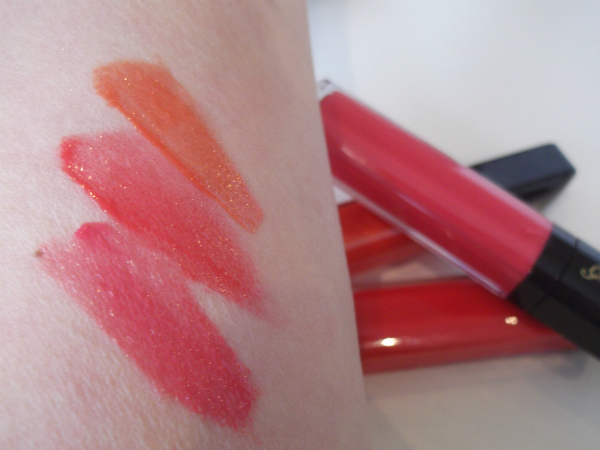 The limited edition Quad is called In Summer Dance (£44) with some very pretty, gentle shades. 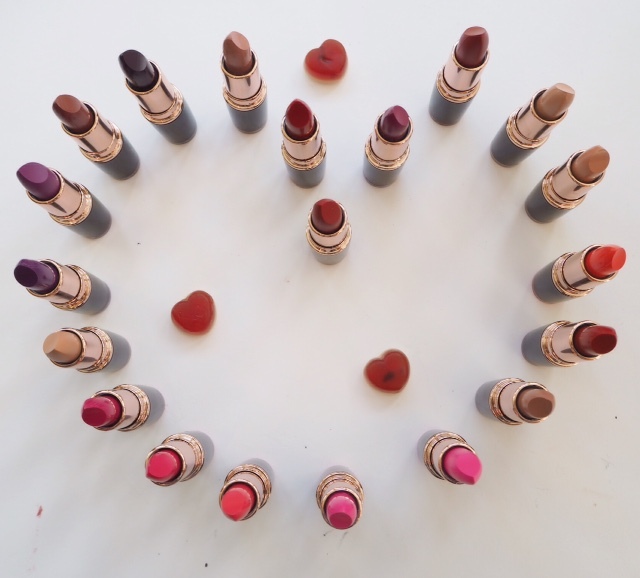 There’s a soft pink with gold accents (so flattering for waking up tired eyes), a sage green (surround it with black kohl), a shimmering yellow gold and a golden peach shade that’s cropping up so often at the moment. I’m not sure quite where to go with the yellow, but all the other shades I can and will wear. 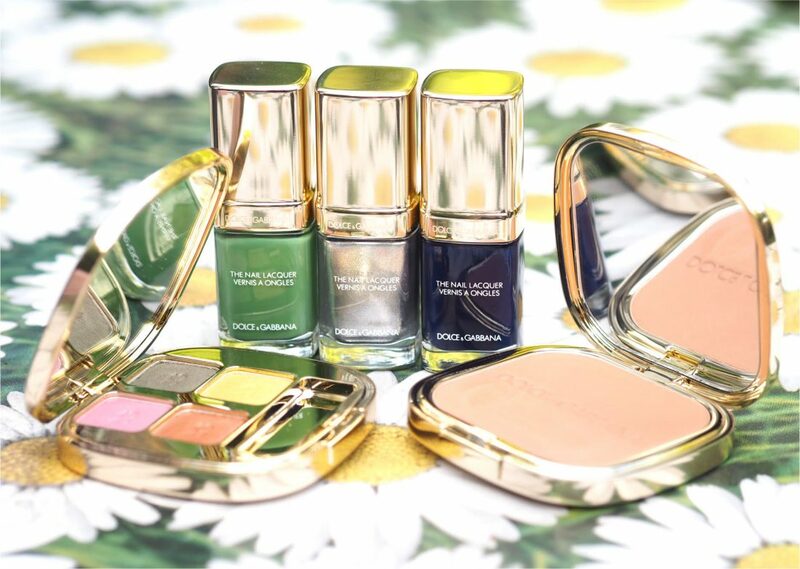 The pigment isn’t shy (in any of the D&G products actually) and there is a beautiful lustre to these colours that mean you will get sheeny, light hit lids rather than glitter ball eyes. I think it’s their best palette yet. 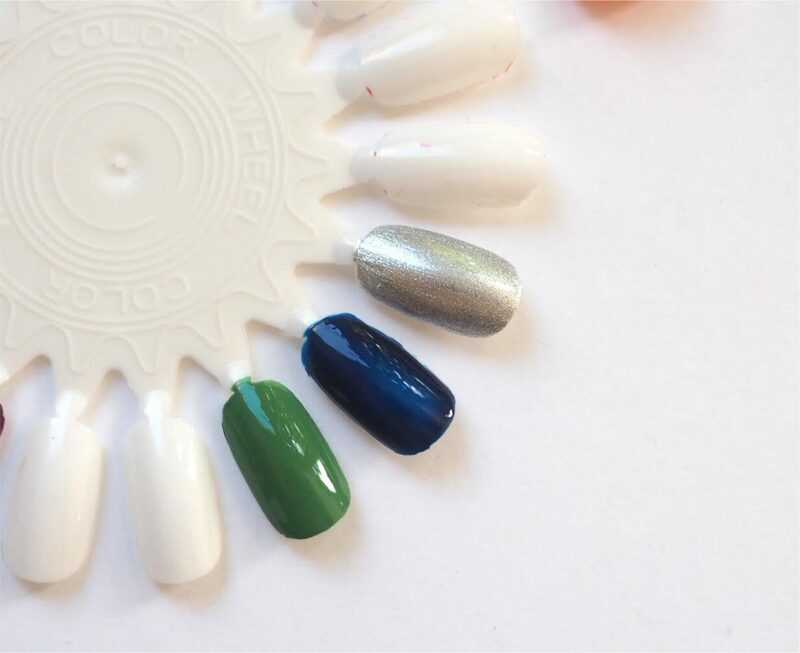 As far as the polishes go (Rock Green, Electric Blue and Mirror Ball) the one to look out for is Electric Blue because navy nails are a theme for autumn winter so it will see you across two seasons easily. Two coats takes it darker, one coat doesn’t look quite right although it is certainly more ‘electric’ but if you want the blue to pop a bit, use a white undercoat and it will be brighter. I love the green though – green nails can look so weird but this is just a fresh, spring like shade that looks so lush. They’re £21 each. 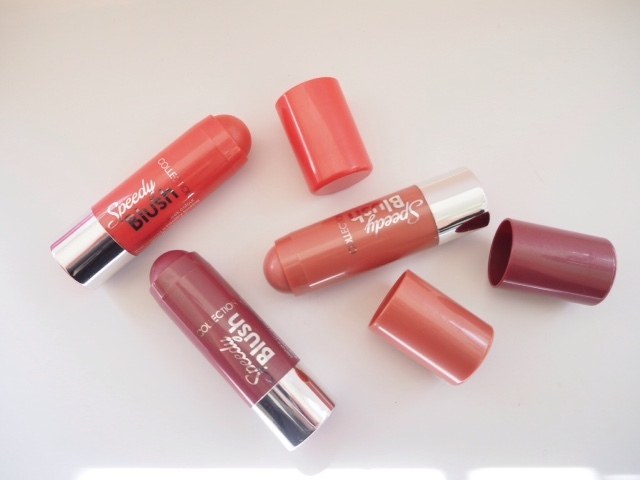 I don’t yet have the lip collection but it’s on its way so I’ll review as and when I receive. Harrods is the main stockist – annoyingly, they’ve got the Summer Collection images but don’t yet seem to have the products listed. Hurry up Harrods! Wow, the eyequad is much prettier than I expected. They’re fun yet wearable shades and look bright enough to provide just enough impact. 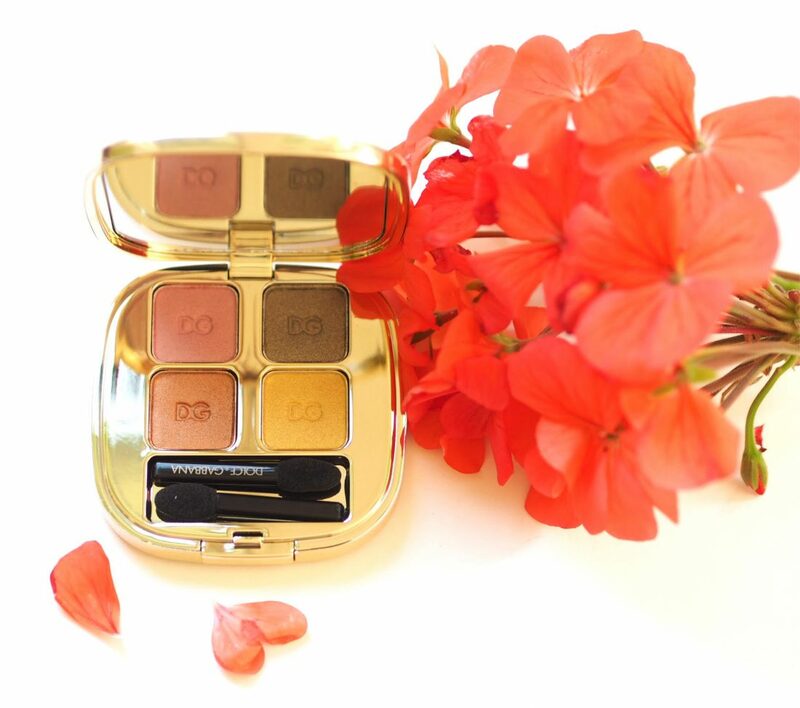 That eye quad is a stunner! I’m so in love with all the nail polishes. 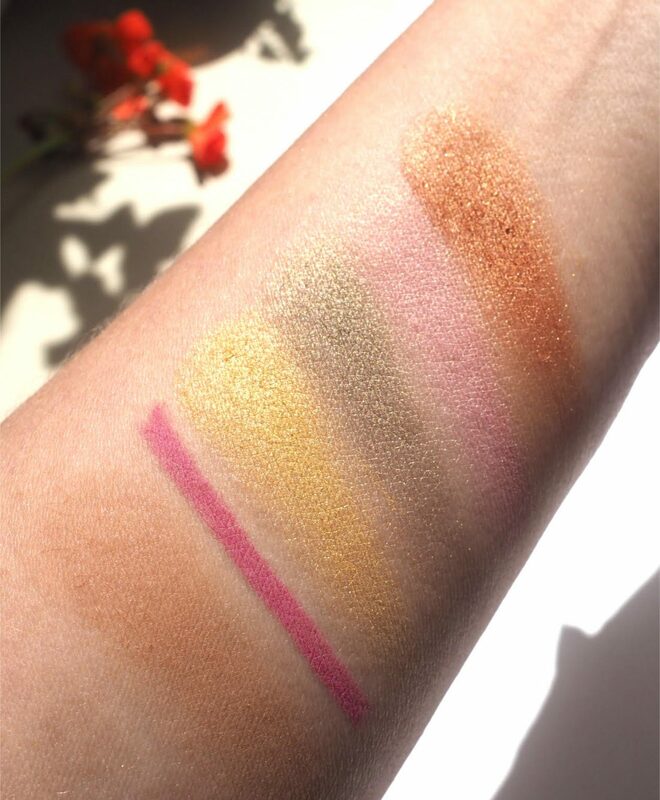 The eyeshadows are also really pretty, just not really sure about the yellow one, it looks hard to work with. I like the packaging but would have expected something more from D & G. It’s pretty but I don’t love it. I also was disappointed by the nail polish selection. I’m sure the products are gorgeous though to use.